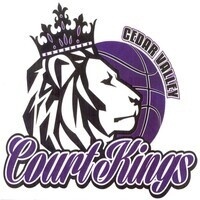 The Cedar Valley CourtKings, Waterloo's semi-professional basketball team, plays host to the Minnesota Lakers in their third home game of the 2019 Midwest Basketball League season. Come see high flying, high scoring basketball by a number of former college standouts and local talents. Tickets are available for purchase at the door. Doors open one hour prior to tip.